Demo of the program: "The Waiter and the Art of Good Service"
Demonstration of the educational program in CD-Room for acquisiton and development of skills and abilities related to waiter service. 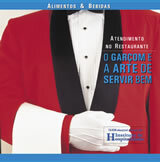 Aimed at restaurants, hotels and inns of all categories. Interact with some of its features, its use is intuitive.